If you’re a homeowner, chances are pretty good that you’ve heard the term “curb appeal” used a number of times. Most people have a basic understanding of what it is — how attractive your home looks from the road or curb — but don’t realize how much it actually matters when it comes time to buy or sell a home. 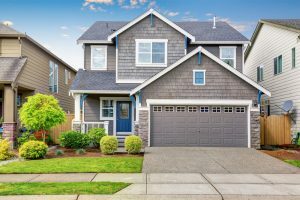 When it comes down to it, curb appeal does play an important role in the sales process and should be taken seriously by both the buyer and the seller. Because most homebuying is done online, curb appeal is more important than ever. If you’re looking to sell your home, the photographs you post online are what will convince people to visit your house or not. House shopping is a lot like job interviews in the sense that first impressions really do matter, and if your house doesn’t look good from the curb, it can ward off many potential buyers. There are a lot of ways to go about raising your house’s curb appeal, all of which are centered around making your house look its best. Here are a few simple ways you can raise your curb appeal and attract more buyers to your home. Keep your yard well-maintained. Nobody likes a dead lawn full of weeds. Before selling your house, make sure your lawn looks great. The financial payoff will be well worth the effort you put into it. Declutter your home. Before you take pictures of it, make sure everything is in its place. Take pictures at optimal times. Good lighting is essential. Find the best time of day to take good pictures of each room, avoiding too much or too little sunlight. Get a second opinion. Homeowners can become accustomed to the slight defects in their home, such as cracked pavement or tilted mailboxes. Have someone else analyze your house with a buyer’s perspective and point out everything they see that would deter them from buying your home. Keep your personal belongings out. The fewer personal belongings that appear in pictures, the better. This goes for both inside and outside the house. Remember, the focus is on your house itself, not on your belongings. Re-paint key features. When it comes to your house’s curb appeal, a little paint goes a long way. Touching up your doors, mailbox, shutters and other key features will give your house a more polished and attractive look.